Hungary, about to take on the EU presidency, could use its position to mount a major push on reducing the human and natural risks of large stockpiles of poorly maintained and regulated mining wastes across eastern Europe, WWF said. Kolontàr, Hungary: Hungary, about to take on the EU presidency, could use its position to mount a major push on reducing the human and natural risks of large stockpiles of poorly maintained and regulated mining wastes across eastern Europe, WWF said. The call comes as emergency operations continue to head off an increasing risk of further large scale flows of toxic aluminium processing sludge from the broken reservoir above the town of Kolontàr. The initial breach of the reservoir walls a week ago killed at least seven, inundated six villages and sent a caustic alkaline plume towards the Danube. WWF on Friday issued a photograph showing that the reservoir wall was clearly degraded and leaking more than three months prior to the disaster. Work has nearly finished on a secondary dyke, 1500 m long, 30 m wide and 8 m high through and alongside Kolontàr, to reduce damage from any further spills. 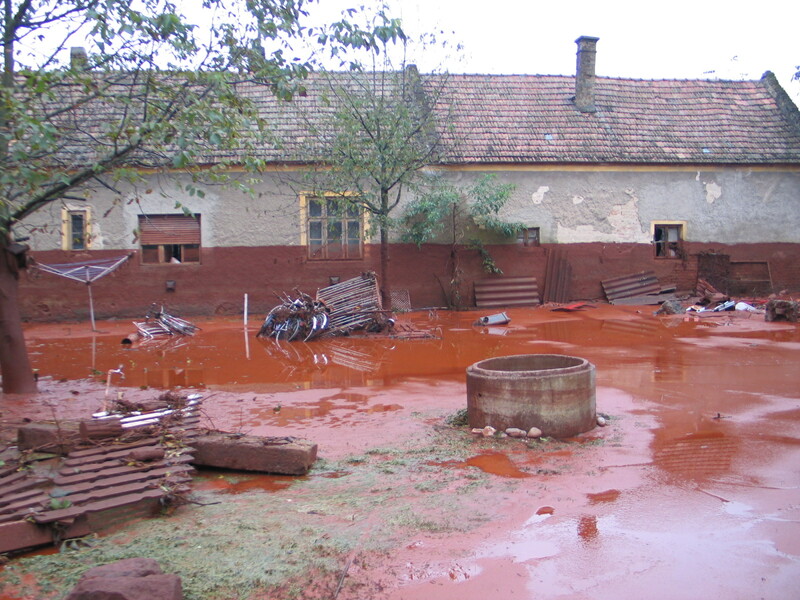 “The human and ecological disaster at Kolontàr – the greatest chemical disaster in Hungary’s history – has made clear the need to re-assess current regulation of such mine waste sites and begs the question how many other ticking time bombs there are in Central and Eastern Europe,” said Gabor Figeczky, interim CEO of WWF-Hungary. Mining and mineral processing tailings dams – presumably including the Kolontàr reservoir – were listed as a priority concerns in a 2004 comprehensive study on mainly eastern European hazardous and toxic waste sites from the European Commission’s Joint Research Center. Overall, however, it is clear that information on sites, on the risks they present and on what is being done to reduce risks is extremely poor. WWF released a list of recent Danube releases of toxic wastes and some of the major hazard areas last week. “WWF’s list gives an indication of some other possibly dangerous sites in the region but it is by no means provides the kind of exhaustive analysis that is needed,” said Andreas Beckmann, Director of WWF’s Danube-Carpathian Programme. Specifically, WWF is calling on the European Commission and the Hungarian government to complement the work package on sustainable water management with development of an Action Plan for the effective implementation of the EU Mining Waste Directive during Hungary’s upcoming Presidency of the European Union, which begins in January 2011. “This directive is good in that it marks the transition from disaster driven policy on mining wastes to risk driven policy,” said Sergey Moroz, policy expert at the WWF-European Policy Office. The Action Plan which Hungary will shortly be ideally placed to push should focus on sites in the new EU Member States in Central and Eastern Europe and include an assessment of risks in neighbouring countries with a potential impact on the European Union, including Croatia, Serbia, Ukraine and Moldova, Moroz said. The Action Plan should include an assessment of risks to humans and environment from all critical mining waste sites; screen all licenses issued for on-going and planned new mining operations with regard to the hazardous substances and their classification, defining immediate measures during the transition period with clear responsibilities for the operators, the respective Governments and the European Commission. WWF particularly calls for review and amendment of the EU Mining Waste Directive concerning safety, in particular for dams of open tailings. In addition, the European Commission should screen whether the respective EU Directives have been transcribed into national laws and regulations and assess to what extent they have been put into practice. The Action Plan could be implemented in part as a flagship project within the framework of the new EU Danube Strategy, which is currently being developed by the European Commission and expected to be formally adopted during the Hungary’s EU Presidency next spring. 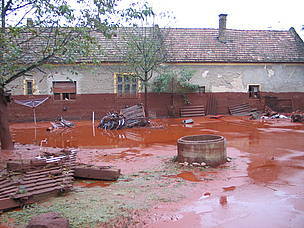 About one million cubic metres of red toxic mud erupted over six villages after a mining waste dam burst at the Ajkai Timfoldgyar alumina plant in Hungary. The highly corrosive sludge contains heavy metals such as lead, cadmium, arsenic and chromium.